Judging by Toronto’s restaurants, really great barbecue must be the toughest thing to get right. 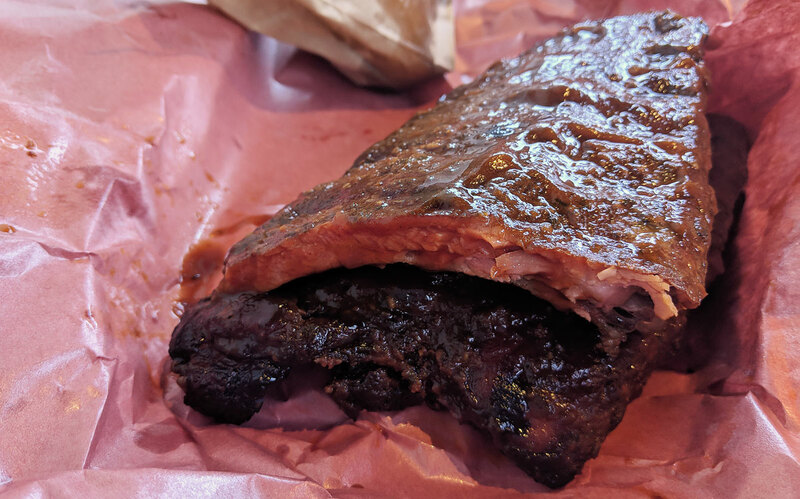 Because there are a lot of BBQ joints in the GTA, and very, very few of them are much better than okay. 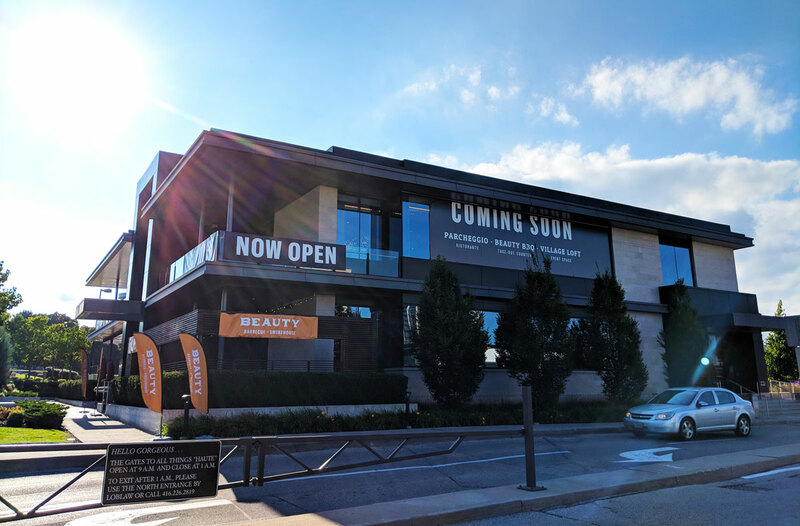 You can add Beauty Barbecue & Smokehouse to the “okay” list. It’s fine. I didn’t dislike eating there. It’s certainly not great, but I’ve had worse barbecue in the city. I tried three things and a couple of sides: smoked + roasted pork shoulder, Torontreal smoked meat, and baby back ribs, along with grilled cornbread and kale coleslaw. I was really hoping to try the brisket; alas, it was sold out. The pork shoulder was the oddest of the bunch. 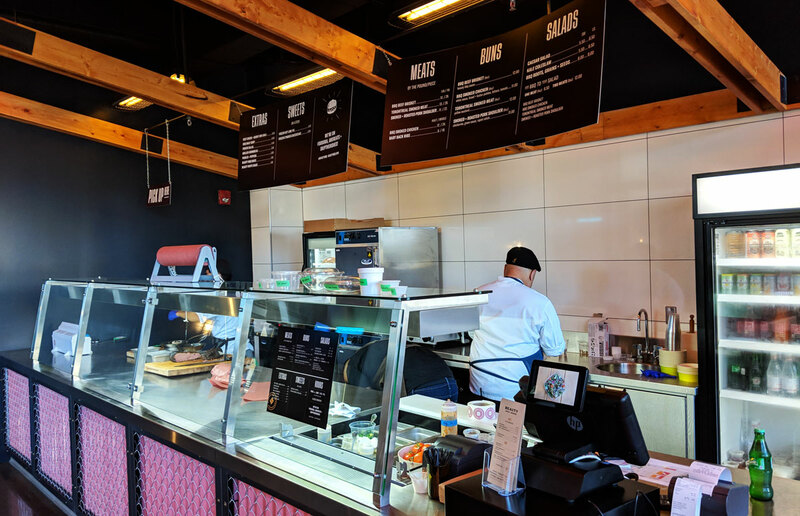 It didn’t even vaguely resemble the pulled pork you might be expecting from a barbecue joint. 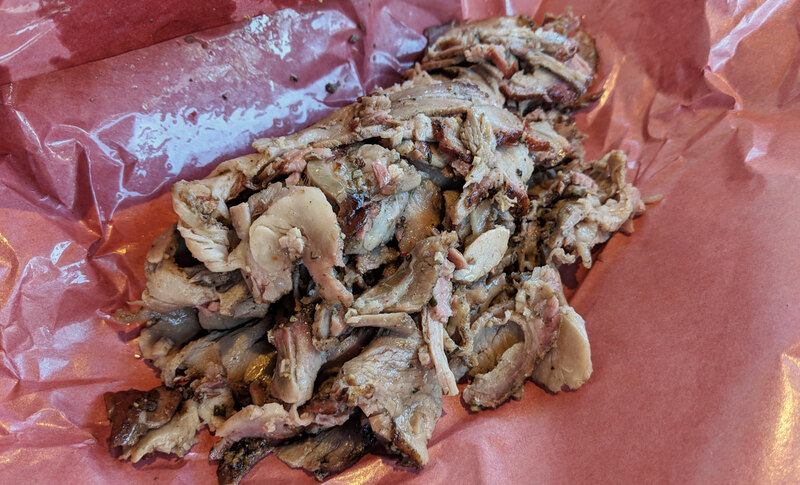 Instead, it was thinly sliced and tasted more like porchetta than something you’d find in the American south, with an overwhelmingly herby, rosemary-tinged flavour. I suspect it hadn’t seen a smoker in many hours (if not days) as it had zero smokiness and a mildly gamy reheated pork flavour. The Torontreal smoked meat was a definite upgrade over the pork. Though it can’t compete with the best smoked meat in the city, it was nicely spiced and had a surprisingly smoky flavour. But the meat was tough and the fat was vaguely rubbery. Despite the fact that it was sliced very thinly, it was disconcertingly difficult to cut with a plastic knife. The ribs were the best of the bunch. They had a good level of smoke and a nice texture — tender, but with a bit of bite. Something about them wasn’t quite clicking (I think maybe the rub? ), but the vinegary-sweet sauce was tasty, and it was overall a quality rack of ribs. As for the two sides, they were both solid. 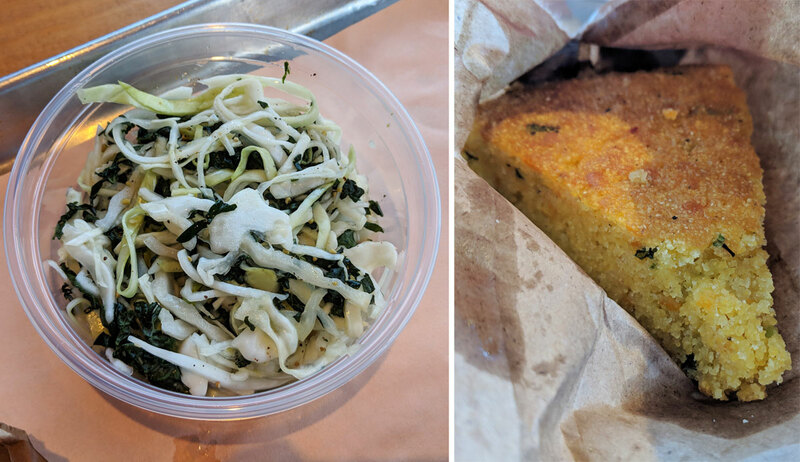 Neither particularly stood out, but the coleslaw was nice and zingy, and the cornbread was sweet, buttery, and satisfying.